The liberal-leaning news site Slate published an obituary Thursday attacking former Fox News contributor Alan Colmes. 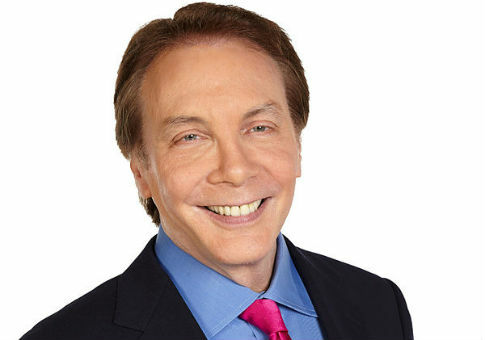 Colmes passed away on Thursday at the age of 66 after a battle with an illness. Colmes started his career as a radio host but is best known for his time on the Fox News program "Hannity & Colmes." The political debate program launched in 1996 and lasted over a decade until 2009. Colmes was often the outspoken liberal on the news channel, butting heads with conservatives like his long-time friend Sean Hannity. Fox News honored Colmes with a touching tribute. Slate took a different approach when remembering Colmes. Its obituary was titled, "Alan Colmes, Buffoon and Patsy, Was Fox News' Original Liberal Weakling." The article attacked Colmes for being the "nice liberal" on Fox News. Colmes was the most absurd, useless, and mocked television personality in America for many years, precisely because he was nice. In the context of Fox News, being a nice guy—and a "liberal" nice guy at that—meant being a buffoon, and a patsy. Colmes not only played the part to perfection—he defined it. The author, Isaac Chotiner, wrote that people should be able to separate the personal from the political when it comes to critiquing Colmes. Chotiner went on to call Colmes' career "something less than morally reprehensible" but still "pretty gross." I wrote that Colmes was a nice guy, and we should all be able to separate the personal from the political, and the personal from the professional, etc., etc., etc. But while Colmes may not have been a genius, he wasn't a complete moron either; in short, he was smart enough to know he was being used, and to take the money that his services demanded. If this is something less than morally reprehensible, it is still pretty gross. We can mourn that Alan Colmes won't be around to watch the political era he, as an important cog in the Fox News machine, helped usher in; unfortunately, the rest of us have no choice.